I'm not sure if anyone has ever said this before, but a week is a long time in politics isn't it? Just seven days ago when I arranged my press pass for Prime Minister’s Questions, the UK was in the EU, David Cameron was leader of the Conservative Party and Jeremy Corbyn was leader of the Labour Party. Today all those things are still true, but in name only. Given the unholy mess the country has created for itself, you might have expected this week’s Prime Minister’s Questions to be full of thunder and recrimination as MPs pose the questions that are being asked in pubs, clubs and workplaces across the country. How did we get to this – by mistake? How come the 'remain' campaign was so utterly feeble? Why did it not spot that not only were its messages all wrong, so were its messengers? Equally, how was it that the 'leavers' managed to get away with what is arguably one of the great UK political campaigns of all time, but one based largely on fear and mistruths? Shouldn’t we just check with the people that they really meant it? Why did neither side make any plans at all for after the referendum? And then there is the question I wanted to ask: Mr Cameron, how do you feel now that you have jeopardised your nation’s future (and the future of the entire European continent) simply to deal with internal Tory party tiffs? But this is England and we don’t do penetrating and incisive, do we? We do under-hit square balls and back-passes leavened by the occasional long-distance pot shot. And so it was at PMQs. Corbyn opened with an easy one about the cost to the exchequer and pension funds of Brexit. 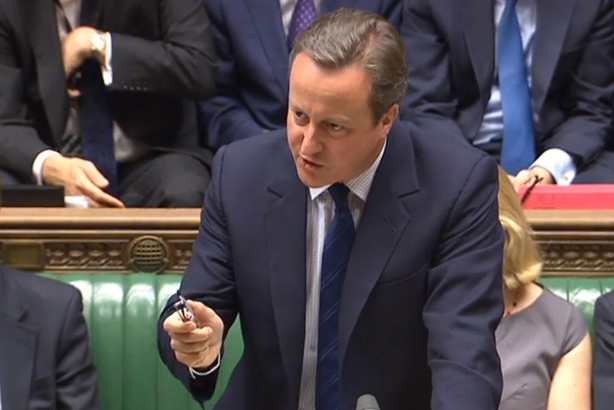 Cameron shrugged that off with a casual, "Dunno, depends". Then Corbyn showed an unexpected concern for big business by asking whether the PM was meeting "Siemens, Visa, Vodafone and the like" to try to stabilise the situation. "Yes I am," replied the PM. You really couldn’t tell that the country is in the grips of its biggest upheaval for 50 years and that parliamentarians almost to a man oppose Brexit. The problem is, explained the man from The Guardian, the Tories desperately want unity and want to be seen to support Cameron while Labour is equally keen to be seen to be not supporting Corbyn. And all of them are desperate not to be seen to be at odds with the country. At PMQs the leader of the opposition is allowed six questions. So it was only after Corbyn had used up all his ammo on key questions like "what monitoring systems are in place to deal with the surge in racist incidents?" that things got heated. For a moment Corbyn flickered into life, questioning whether the referendum result wasn’t the direct consequence of Tory economic policies. "We all have to reflect on our role in the referendum campaign," replied the PM. "The honourable gentleman says he put his back into it. All I’d say is I’d hate to see him when he isn’t trying... It might be in my party’s interest for him (Corbyn) to sit there, but it’s not in the national interest. For heaven’s sake man, just go." Ouch. But Corbyn couldn’t say a thing. And nor could anybody else. They are too scared of offending the people who elect them.